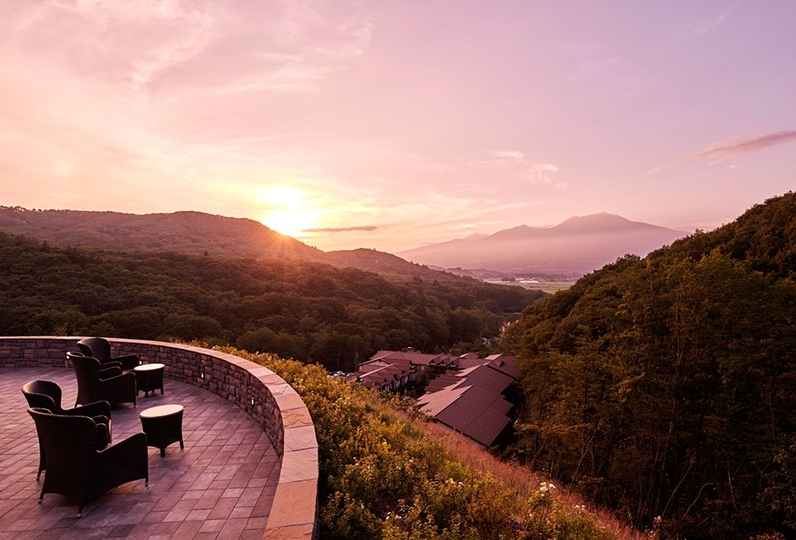 Karuizawa, where you can see Mt. Azama far away. 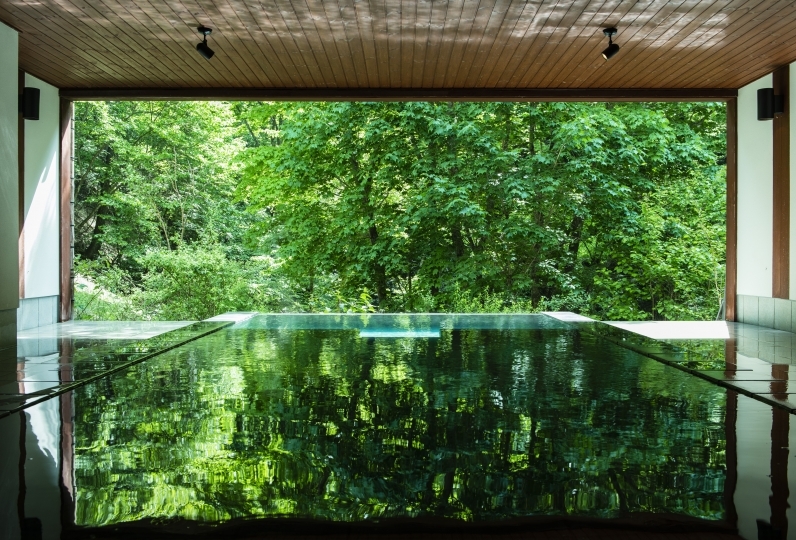 The Prince Karuizawa is a hotel located deep into the forest surrounded by nature. There is a free shuttle bus that departs every 30 minutes from the South Exit of Karuizawa Station. You will be able to access the hotel without any worrying. 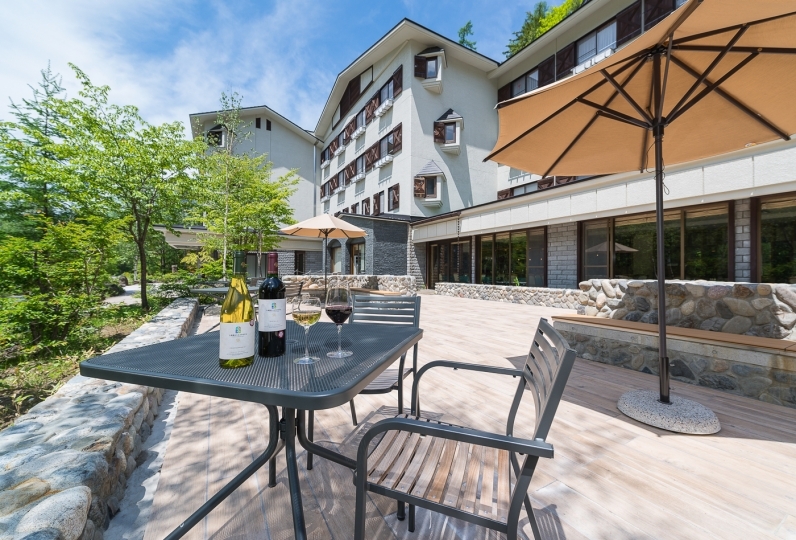 The guestrooms are structured in a way to let you relax and make yourself feel at home while looking out at the nature of Karuizawa through the large window. There are a variety of rooms like Family Suites and Twin Rooms. Please pick the room of your choice that fits your style of vacation. The large window gives a large impression in the dining room. 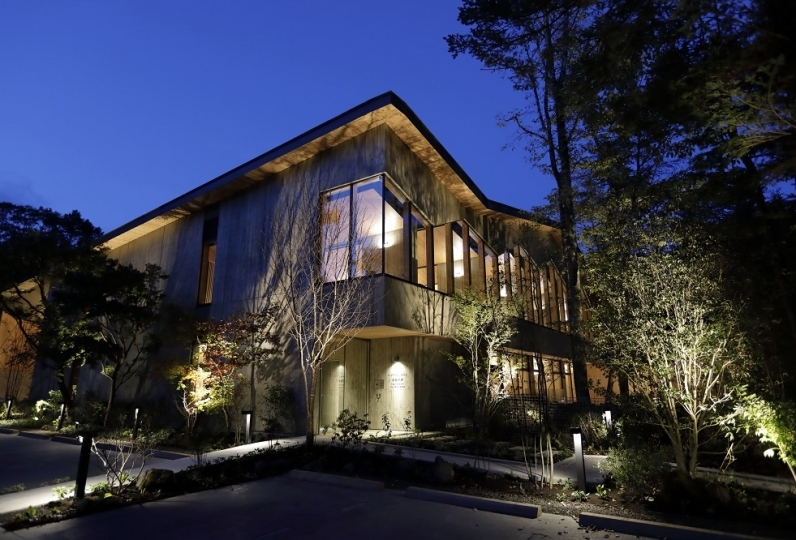 There is an exclusive wine cellar with a variety of wine in stock. 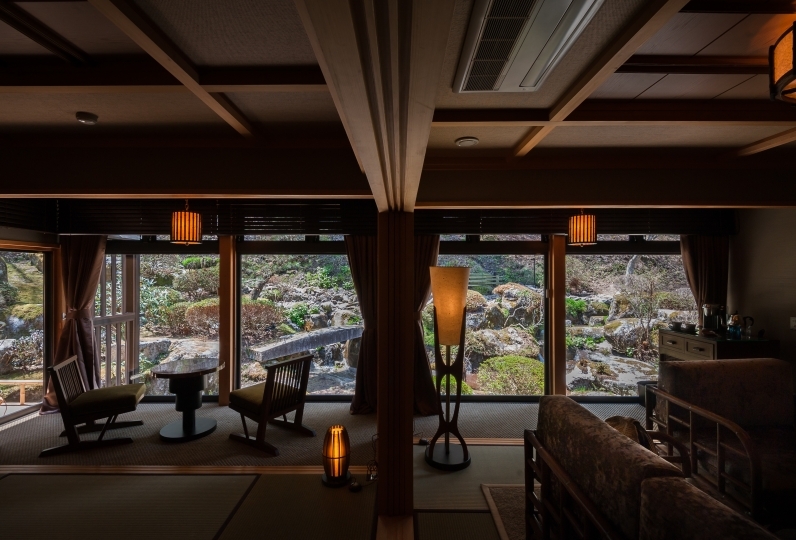 At the Library Café "Rindou", you can enjoy reading or tea time with the view. I stayed there on a day when fireworks were to be seen, but it is a pity that I could not tell you at check-in. Enjoy some French Cuisine while looking at the beautiful scenery. 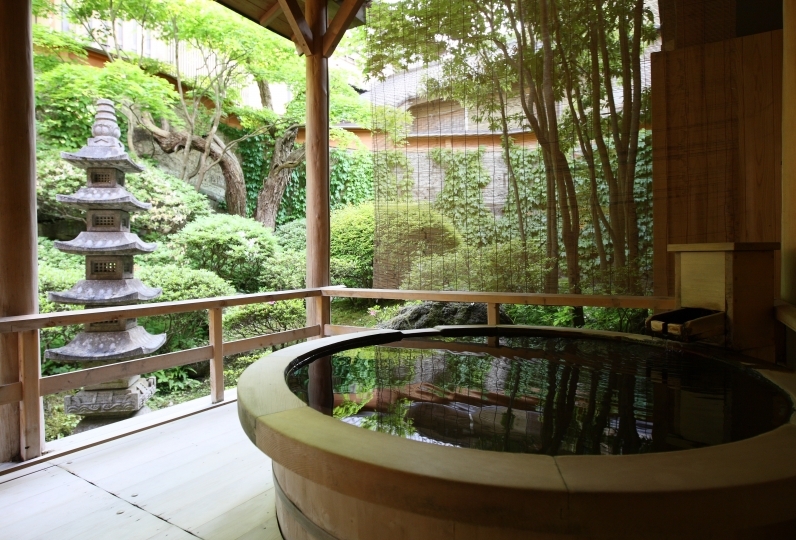 Natural Onsen Facility which is taken from the hot springs within premises. 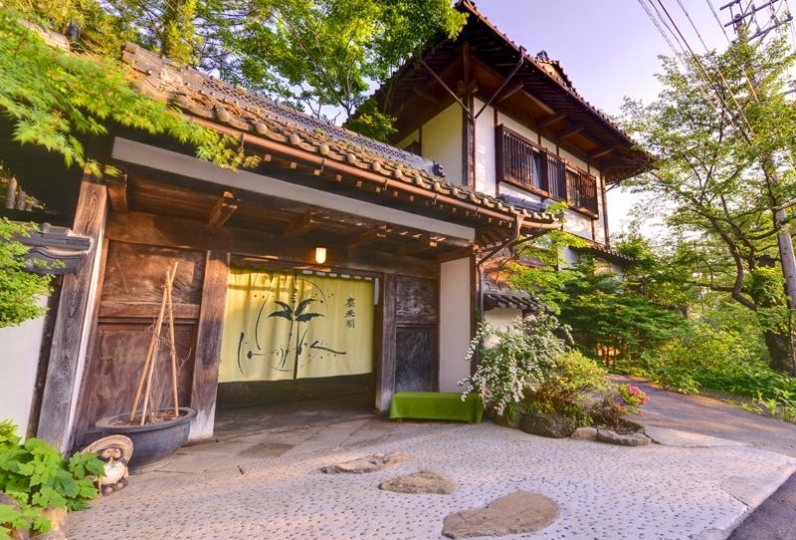 You will be able to see the beautiful forest which changes its appearance very season from the "Onsen Area" with the indoor spa, outdoor spa and steam sauna. 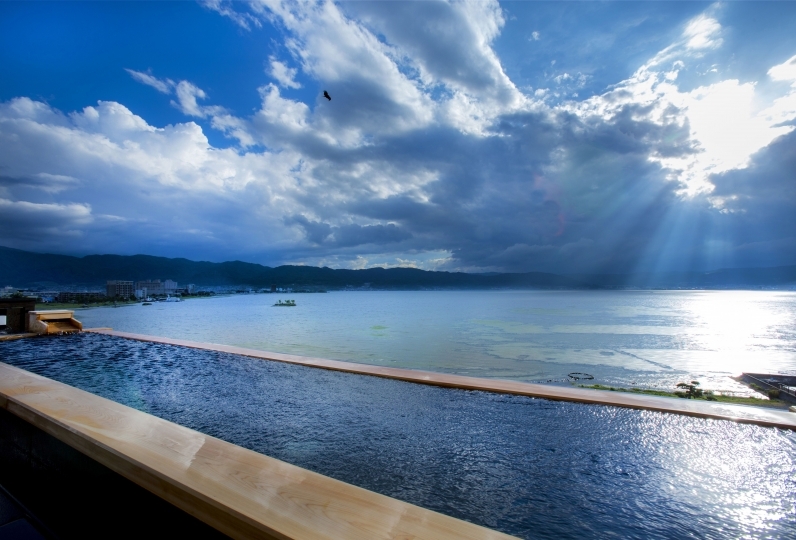 The feeling of the beautiful nature and the natural Onsen water that softly wraps around you will bring you in to a time of comfort. Library Café where you can enjoy some coffee and books while feeling the nature. There are some snacks other than drinks as well. Find your favorite book and relax. ※If there are different check in/check out times depending on the plan, then please follow them. ・If you can let us know your time of arrival by the day before, we can pick you up at Karuizwa Station. 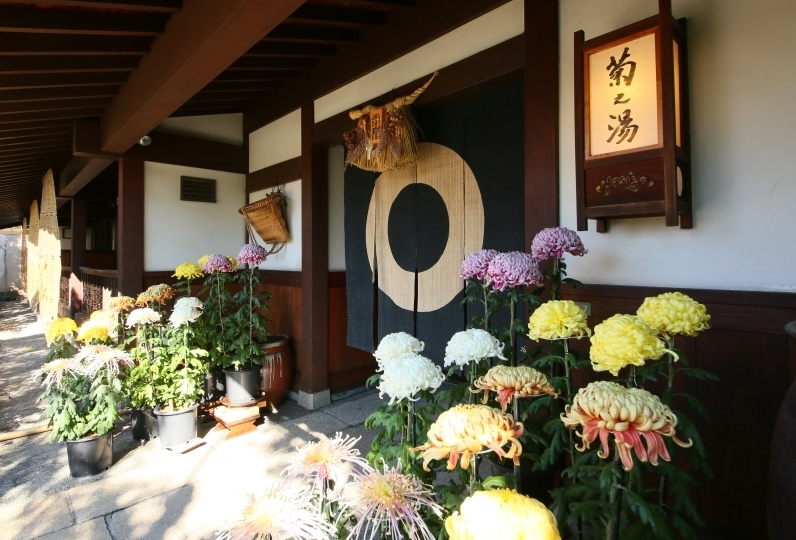 ・Even if you do not contact the hotel beforehand, there is a free shuttle bus "Pick up bus" from 7:30-21:00, every 30 mins. 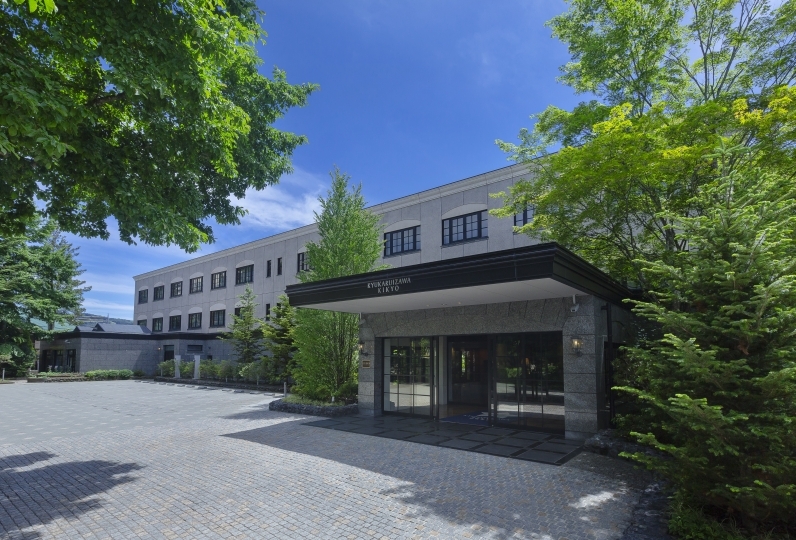 Please head to the Karuizawa Prince Shopping Plaza Tree Mall, from the South Exit of the Station.